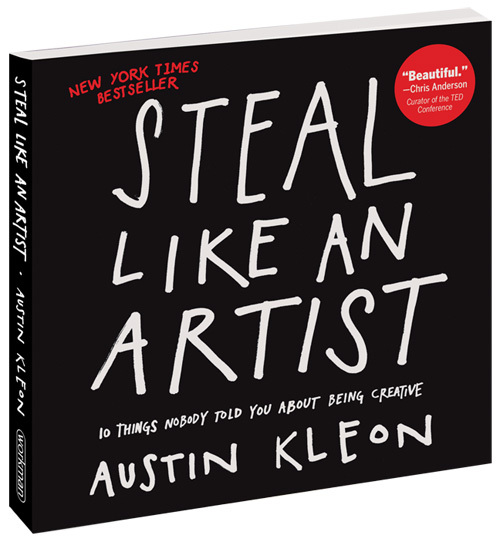 This is the best book on creativity I’ve read all year. What you need more convincing? This is the kind of book that you finish reading (in a single day cos you can’t put it down) and then go racing to your workstation and pummel out that first draft/blog/comic/painting that you’ve been wanting to do but procrastinating on forever. Yeah. Or, like self, you decide to set up a spontaneous word press site to blog about books! And… here’s eight magnificent pieces of advice from the book, that you can implement right now. Use your hands (creativity is about pen and paper, not staring at a computer). The list above is barely touching on all the gems in this book. This is going on my ‘read at least once per year’ list of books. I rarely buy paperbacks these days but… this book is so scrummy I’m considering it! I really want to stare-at-on-paper at the awesome handwriting, charts, captions and other bits peppered through the book. Purchase this bad-boy on Kindle or paperback @ good ol Amazon.